Not a massive price drop, but currently the cheapest I've seen it. Take out the which trial to knock off essentially £9. Use tcb or Quidco to get a little possible something extra back as well. A lot of phone for the money, and probably the surprise of the year so far, that and the Poco dot bikini phone. Wtf, £1449? These phones should be banned on hukd. Scandalous. Just get an iPhone.Haha, only joking. This is better and much cheaper. All …Just get an iPhone.Haha, only joking. This is better and much cheaper. All the Honor and Huawei phones seem to offer amazing value, equalling phones as much as 51.3% more expensive. I just wish I could afford a P20 Pro. scary that you can get this and the poco and a p20 pro for less than the iphone. XS stands for Extra Small? Apple tested the water with a thousand pound and people bought it, this is another test from Apple to see how high they can push prices before people finally say it's too much. I won't be interested unless they add 3i to the name of their new XR phone. This or the pocophone also honor 8x is out soon. I can't decide what do u think mrswitch? This or the pocophone also honor 8x is out soon. I can't decide what do u …This or the pocophone also honor 8x is out soon. I can't decide what do u think mrswitch? 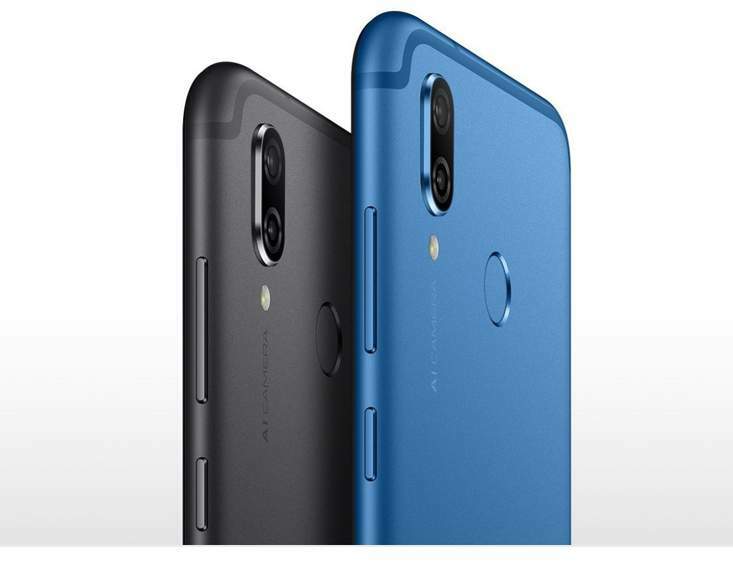 I'd go with this over the Honor 8x as it's got more processing grunt, and this over the poco as it's from a UK retailer, whereas the Poco is much more from a UK retailer. I will add, the 8x has no band 20 support currently either. I was thinking the same also the build quality is better in the play and the play seems to be able to take a fall better. The major factor for me like u said is the UK retailer. This or the new iPhone excessive max? Both good value for money. Great reviews on this phone. @Mrswitch bang for buck, what Android phone would you go with today? P20 Pro at £23pm with £100 up front? @Mrswitch bang for buck, what Android phone would you go with today? P20 …@Mrswitch bang for buck, what Android phone would you go with today? P20 Pro at £23pm with £100 up front? I am not him but bang for buck is 10000% the Pocophone F1. Not a fan of the pocophone, there's a load mate, this at £259, the mix 2 at £215, the P20 pro for £420 at o2 refresh, the XZ1 Compact for £155 at carphone warehouse, the mix 2s for £320 at banggood. The P20 pro deal you've mentioned would probably make the list as well. Haha, only joking. This is better and much cheaper. All the Honor and Huawei phones seem to offer amazing value, equalling phones as much as 51.3% more expensive. I just wish I could afford a P20 Pro. 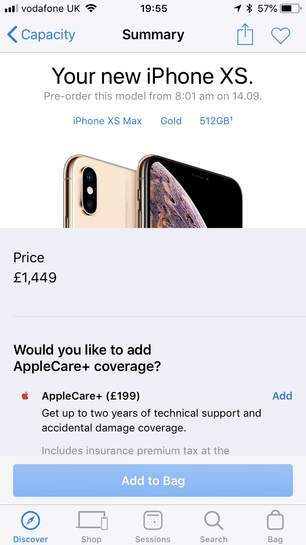 Lol I wonder how long it will be before the £2k iPhone will be released. Not a fan of the pocophone, there's a load mate, this at £259, the mix 2 …Not a fan of the pocophone, there's a load mate, this at £259, the mix 2 at £215, the P20 pro for £420 at o2 refresh, the XZ1 Compact for £155 at carphone warehouse, the mix 2s for £320 at banggood.The P20 pro deal you've mentioned would probably make the list as well. Got this from argos and love it. I took the Nokia 7 plus back as no notification light wasn't the best. The screen to body ratio on this is excellent. Build quality great as well. ETA April 2019 if the XS's sell well enough. How does this compare with the Honor 10? which is more expensive. I have got Honor Play from Very for 225 with 20% off existing customer discount code. Great phone had no problems so far. Bought this from honor store a week ago. Awesome phone. Camera is not great though but well worth it for the price. I compared the screen with Pixel 2 XL and found that colours are a lot more vivid and more pleasant to look at on this phone. 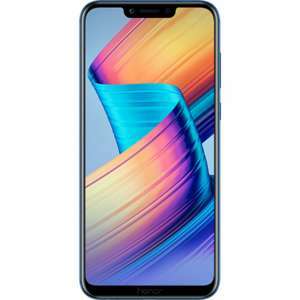 I have got Honor Play from Very for 225 with 20% off existing customer …I have got Honor Play from Very for 225 with 20% off existing customer discount code. Great phone had no problems so far. Will amazon or John Lewis price match this? Doubtful, as its not one of the big retailers, you could try though. At this rate next September. how does this compare to the nokia 8? Mid range, more flagship killer. So, I think I'm getting the vibe that you like this phone? If I'm wrong correct me! You don't know the way to work? How long have you worked there? 16 year, but he's old, and he forgets. Looks like the guys who invented Volkwagen's defeat units found jobs @ Huawei.